Staff Correspondent: Eastman Technocrafts Ltd is a name of ‘total apparel solution’ in Bangladesh. The company has been giving services with firm commitment, sincerity, integrity, quality, and ensuring satisfactory After-Sales-Services since 1996. The Eastman has been marketing world-famous branded garment machineries in Bangladesh. “PFT” Fully Automatic Pocket Join machine is one of them. 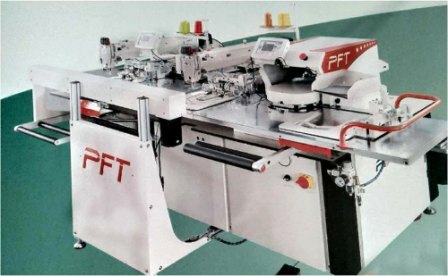 This is the latest and fastest automatic sewing solution in the world which is widely used in Bangladesh garment factories. 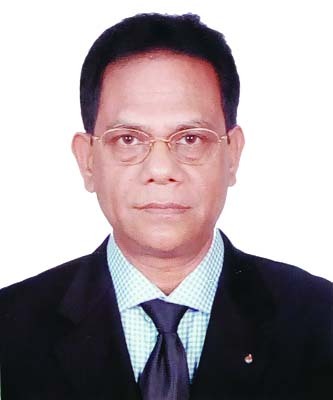 Mr. Manik Lal Chowdhury—the Managing Director of Eastman Technocrafts Ltd-- owns wide range of experience with number of training in home and abroad regarding the latest high-profile machinery of RMG sector. He told that the main objective of PFT company is to deliver easy solutions to the customers with lowest operating costs. These machines are very user-friendly and comfortable for the workers, which contains high quality hardware & software. PFT is very much serious regarding customer services. It is capable to provide service support within 24 hours after receiving any call. In Bangladesh, Eastman Technocrafts Ltd is the sole agent of PFT and it is giving the service support. Its features are: Full automatic programmable pocket setter with cold folding group and Double sewing head for Jeans. 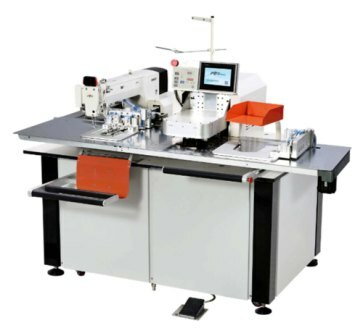 Max speed: 3000 rpm, Sewing area: 200 x 200 mm. (230 x 225mm max), Application scope: Elastic fabric, thin material, medium thick material, thick material. Productivity: 160-170 pant per hour. Air consumption: 6bar, 0.9 L/p.c., Power consumption: 1 kw, Weight: 550 kg, Size: 1920x1420x1500 mm. Jig Cost: In-house Easy Jig Making Technology; Need only JIG Accessories Cost; JIG Accessories is Available in Locally. Changing Jigs & Programming: 2-Minutes Jig Changing Technology, 10-15 minutes Program changing Technology, Using Touch Screen for Changing Jig, Using Touch Screen for Programming. Jig Cost: In house easy Jig making technology, Need only JIG accessories cost, JIG accessories is available locally. * All machines are coming with PROGRAMER. * Hooks brand JAPAN HIROSE. * Guide rail is from JAPAN THK. * Bearing is from JAPAN NSK. * Timing belt is from USA GATES. * Step motor is from JAPAN SHINANO. * Main motor is same JAPAN. * Emergency switch is from JAPAN NKK. * Needle plate is from TAIWAN.